HILO, Hawaiʻi - Hawaiʻi County road crews will start resurfacing work on Hualālai between Kapi‘olani St. and Kīlauea Ave. on Monday, April 15. (BIVN) – A Hilo road resurfacing project that will last several days will begin on Monday, but the day before work will be done on the traffic signals. 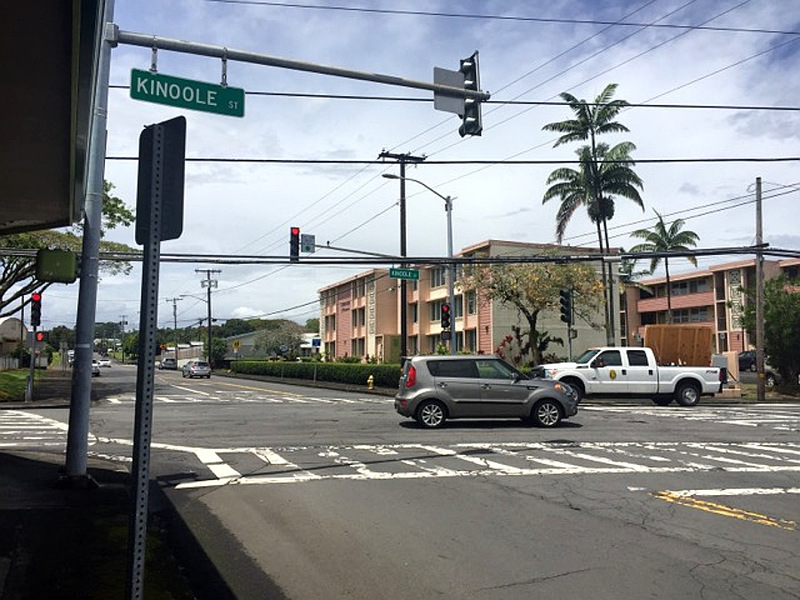 On Sunday, April 14, 2019, the Hawaiʻi County Department of Public Works Highway Maintenance Division will repair the traffic signal wiring at the intersection of Hualālai and Kinoʻole Streets in Hilo. 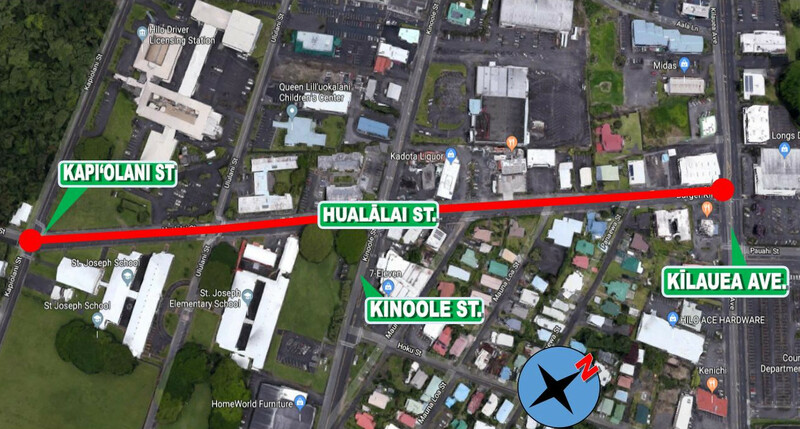 The next day, the County will begin resurfacing work on Hualālai Street between Kapi‘olani Street and Kīlauea Avenue. Work is scheduled between the hours of 8 a.m. to 3 p.m., weather and construction conditions permitting, and will last from Monday until Thursday, April 18. Resurfacing work will be done on the Hualālai Street roadway in 2 phases, the County says. On April 15th to 16th, from Kapi‘olani to Kino‘ole, and April 17th to 18th from Kinoʻole to Kīlauea Ave. There will be no parking along the roadway during the work period. 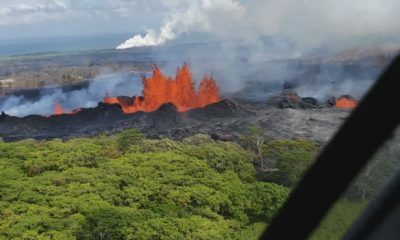 “The County of Hawai‘i Department of Public Works apologizes for any inconvenience this may cause and thanks the community for their patience and understanding,” the release said.